Once the holidays are over, we are usually left with time for reflection; taking a look back on the previous year and preparing for the new year to come. As we look back on 2016, there are so many things that stick out to us: all of the wonderful patients that have walked through our doors, the introduction of NeoGraft to our practice, our continued work with Surgery on Sunday, winning the Commerce Lexington Salute to Small Business Legacy Award, and moving into our new office. Needless to say, 2016 was a really good year. As we look forward to 2017, there is no question that we want to help even more patients than the previous year look and feel their very best. We want to continue to stay up to date on the latest plastic surgery procedures and provide our patients with the best experience possible. Who knows what else is to come in 2017, but we are excited to see what’s in store. Here are a few things that help us make our resolutions. We hope it will help you make yours. Set realistic goals. No one wants to be set up for failure. Set goals that are actually obtainable. Come up with an action plan. It’s nearly impossible to achieve a goal without a plan. Determine what steps you will take to achieve your goal and then put them into action. Check in. Each month, check in on your goal. How is it going so far? How does what you’re doing make you feel? Check in again. Halfway through the year, check in again. This time determine if what you are doing is working and if its making you as happy as you expected. Reassess your plan and make necessary adjustments. Reward yourself. Reward yourself throughout the process. Even small accomplishments (you made it a quarter way or halfway to your goal) deserve to be recognized. All resolutions don’t have to be about taking something away. Millions of Americans vow to lose weight, take away carbs, and cut up their credit cards. There is nothing wrong with these resolutions, but remember sometimes it’s nice to add something. Maybe it’s a date night with your significant other, taking one night a week to finish that book you’ve been dying to read, or actually going through with that Breast Augmentation Surgery you have been wanting for years. Don’t be afraid to ask for help! Sometimes you have questions or need assistance to make your resolutions a reality. Don’t be afraid to ask for what you need to help you accomplish your goals. Regardless of what you resolve to do in 2017, make sure it’s something that will bring positivity to your life. 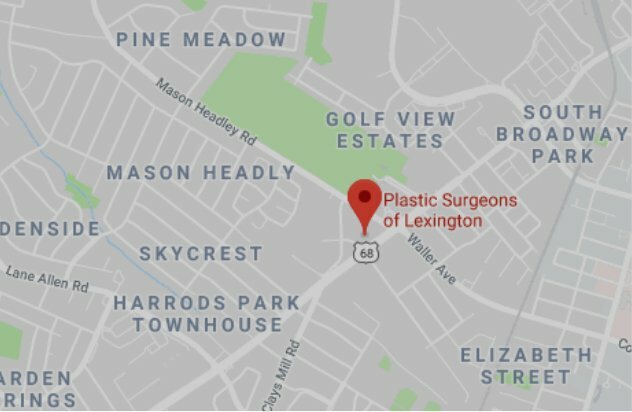 At Plastic Surgeons of Lexington, we believe Plastic Surgery serves an important role in the larger world of medicine. It is more than just a way to enhance your beauty. It can make you feel more confident about yourself, improve the visible signs of a previous injury or cancer resection, and can remedy abnormalities caused at birth. This is why we resolve to continue to help our patients achieve their goals. 2017, here we come!